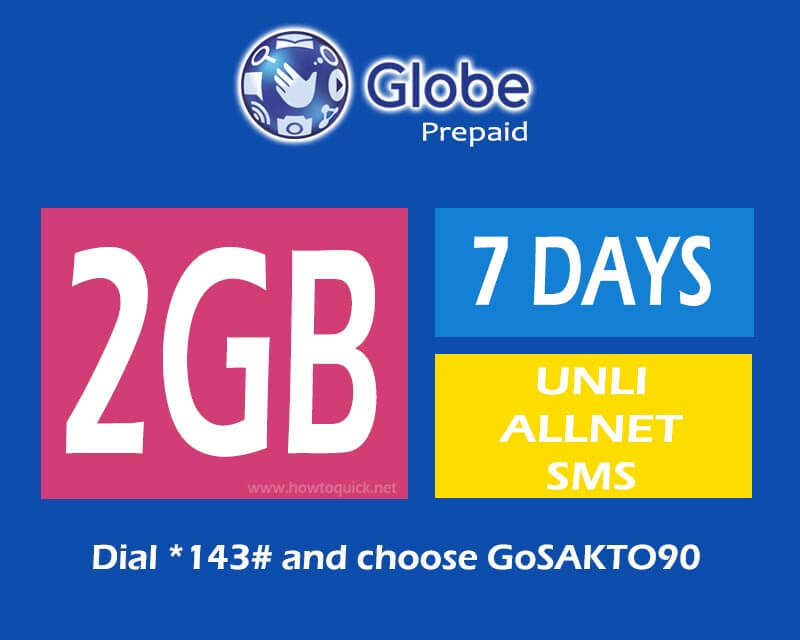 With Globe GoSAKTO 90 promo, you can have access to the internet to connect with your online friend and contact them whatever network they are using with the all-net SMS package. It gives you unlimited text all networks plus 2GB of open access data that you can use for up to 7 days or 1 week for only 90 pesos. These offer is previously known as GOTSCOMBODD90 and now it’s directly available when you dial *143# under GoSAKTO menu with a new name GOSAKTO90. No need for you to memorize the long keyword GOTSCOMBO…, just dial Globe USSD code promo menu the select option for GoSAKTO. You can still register via SMS using the keyword provided below. Just text GOSAKTO90 then send to 8080. Choose option 2 to try GOSAKTO90. The 2GB is consumable for 7 days, so you need to turn off your mobile phone data when not needed to avoid unwanted bandwidth consumption. You can also use the 2GB freebie for GoWATCH and Play that includes access to YouTube, HOOQ, Netflix, NBA, Cartoon Network, Mobile Legends, Arena of Valor, Pokemon Go, Clash of Clans and more. To know the list of app included, just text WNP LIST then send to 8080. To check the remaining data balance of your freebie and promo, you can text WNP STATUS and GOSAKTO STATUS to 8080 then wait for the information message from Globe.